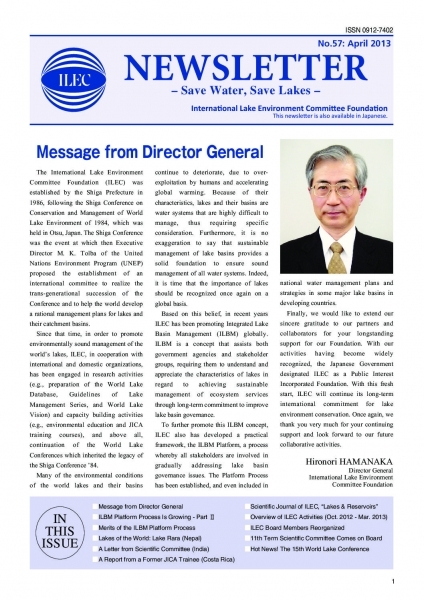 for the sustainable world lake basin management. Please refer to the TOPICS for the detail. We would like to let you know that our website has gone through platform update and redesign on Sep. 19, 2018. 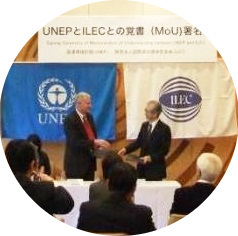 The URI of our new home page is " https://www.ilec.or.jp ". If you registered our website to "Favorites" or "Bookmarks" of your browser, please update accordingly. 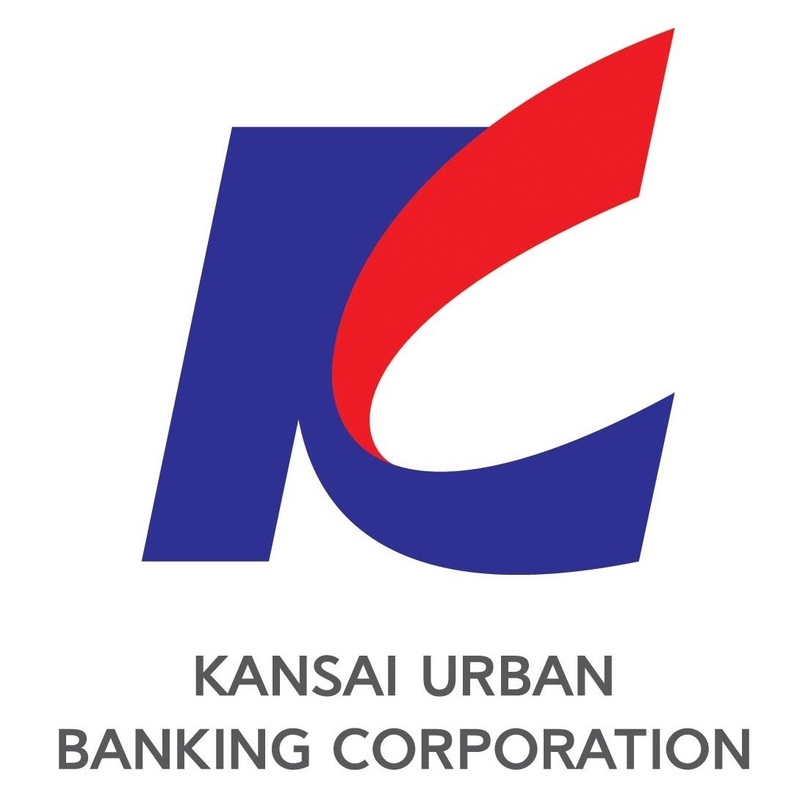 We appreciate your interest to our website and we will make every effort to make our website current and informative. Thank you. 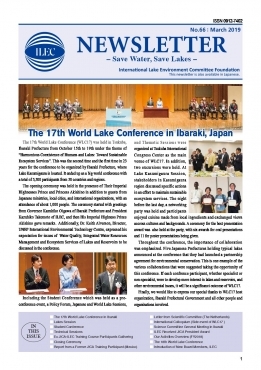 *The WLC17 in Ibaraki *Letter from SciCom member (Pieter van der Zaag / The Netherlands) *International Colloquium, etc. 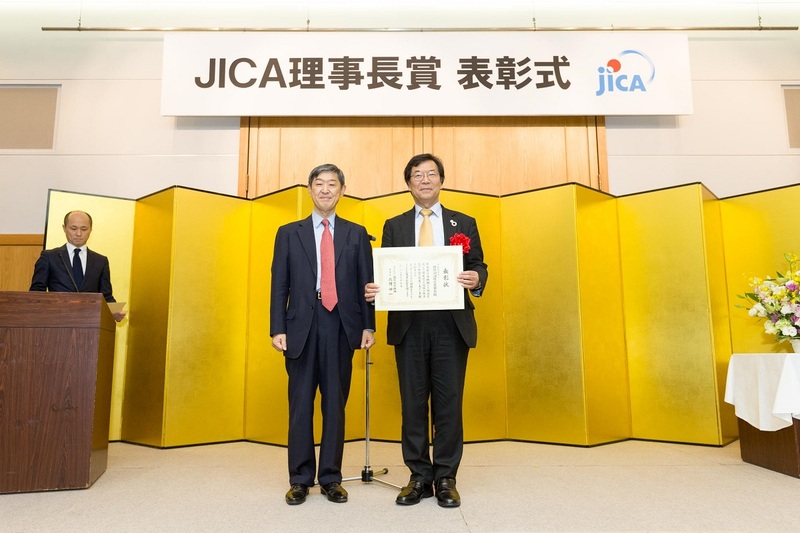 *Message from the New/Former President *ILEC 30th Anniversary Event *Letter from SciCom member (Collin M. Finlayson, Australia) *ILBM Workshop in Brazil, etc. 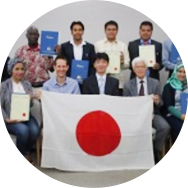 *WLC16 (Bali, Indonesia) *Declaration by Biwa Kids Ambassador in WLC16 *Letter from SciCom member (Prof.Shimizu, Japan), etc. 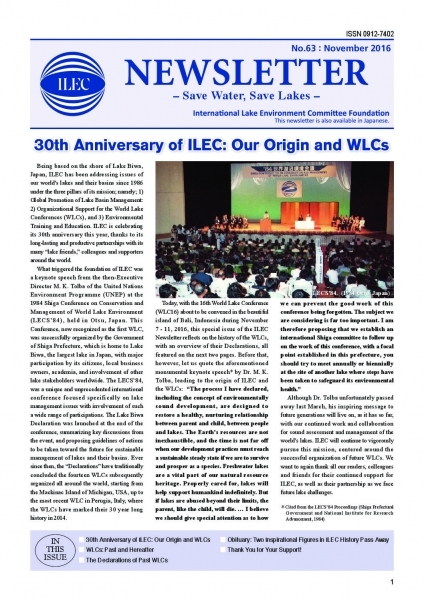 *ILEC’s 30th Anniversary: Our roots and WLCs *Obituary: Dr. Mostafa K. Tolba and Dr. Sven E. Jorgensen, etc. 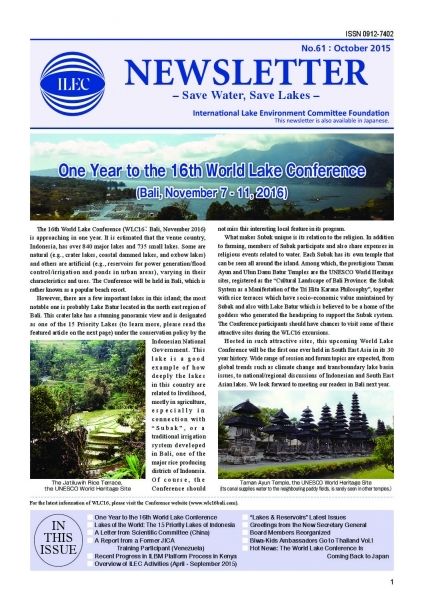 *Fifteen Priority Lakes in Indonesia *Letter from Scicom member (China), etc. 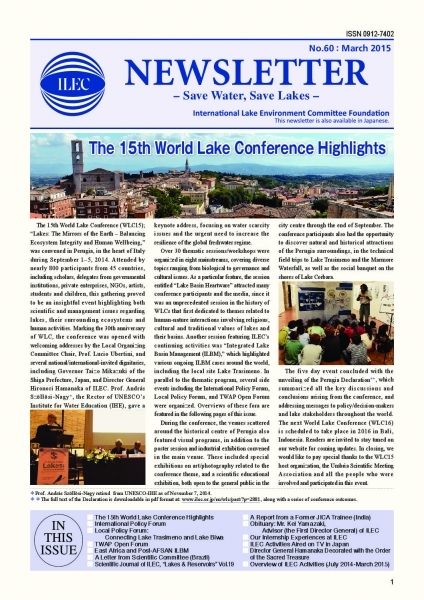 *WLC15 Highlights *East Africa and Post-AFSAN ILBM *Letter from SciCom (Brazil), etc. 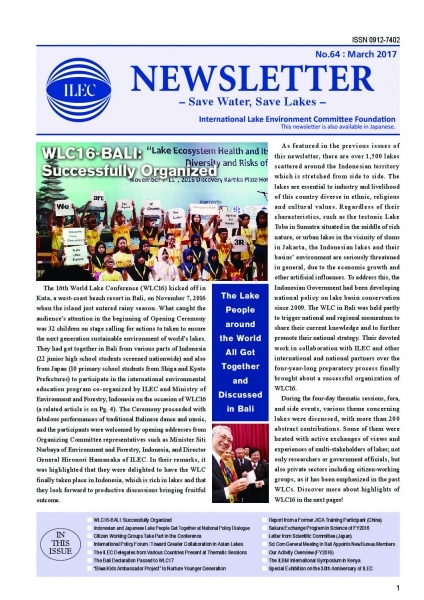 *Letter from SciCom member (Italy) *Lake Haleji (Pakistan), etc. 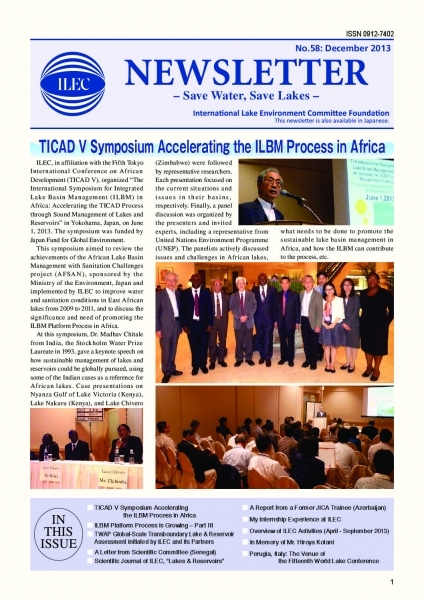 *TICAD V Symposium *TWAP Assessment *Letter from SciCom member (Senegal), etc. 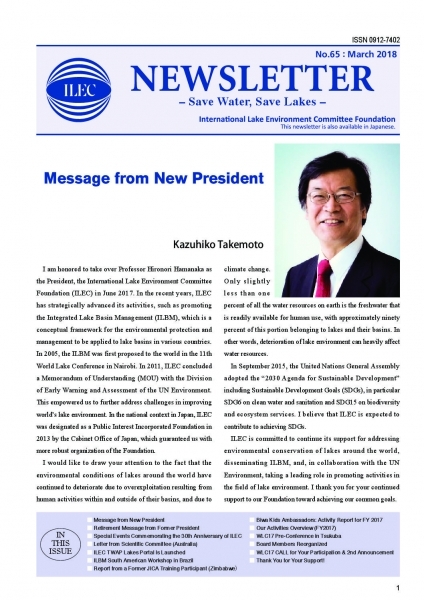 *Message from ILEC Director General *Lake Rara (Nepal) *Letter from SciCom member (India), etc. Get alerts in your e-mail for the latest news from ILEC! 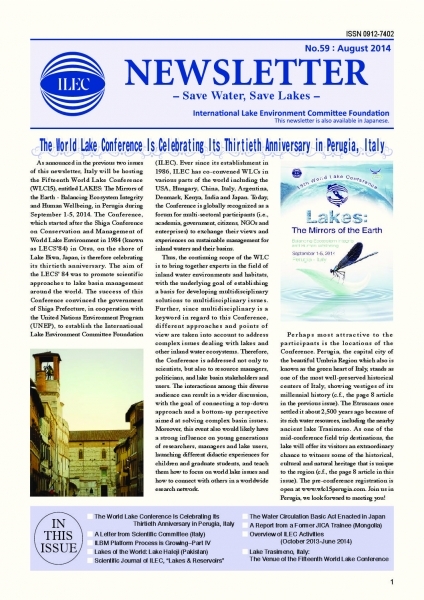 Why not contribute to the preservation of the world lakes environment. 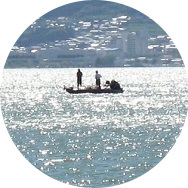 Since 1986, ILEC has been promoting rational and sound management of world lakes and their catchment areas consistent with sustainable development policies through its global partnership with UN Environment and other international/national agencies. Your donation supports our activities. According to your request an advertising banner could be displayed on our web site (organization only).